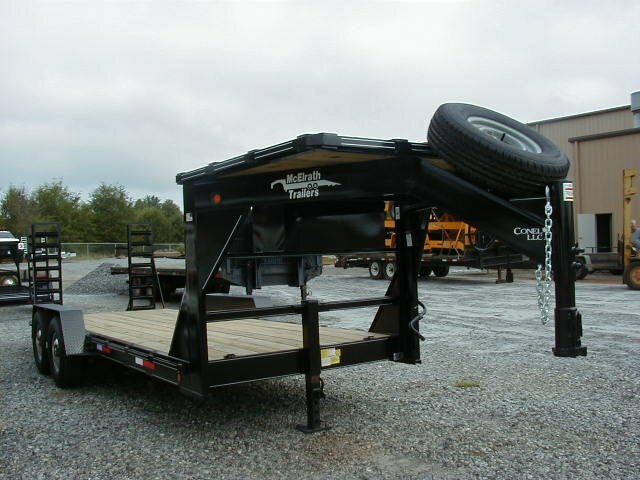 Our Skid Steer Loader trailers have 83" between the fenders. 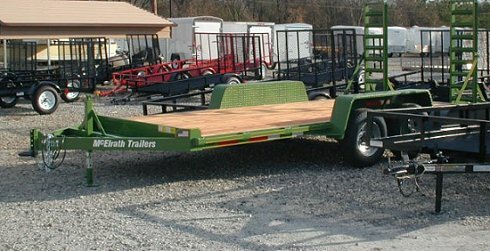 They are available in 6, 7, and 8 ton models. 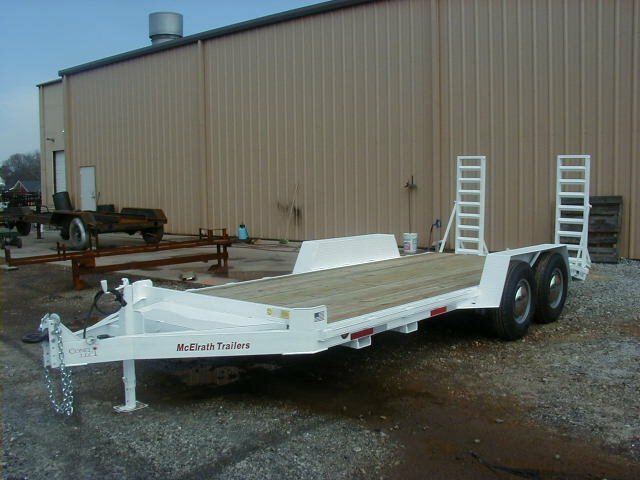 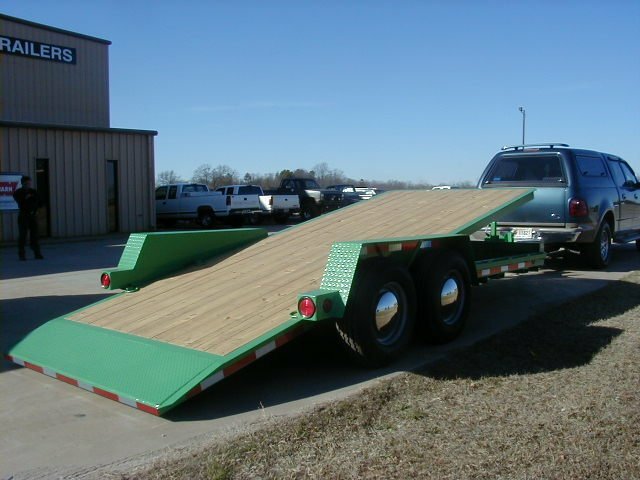 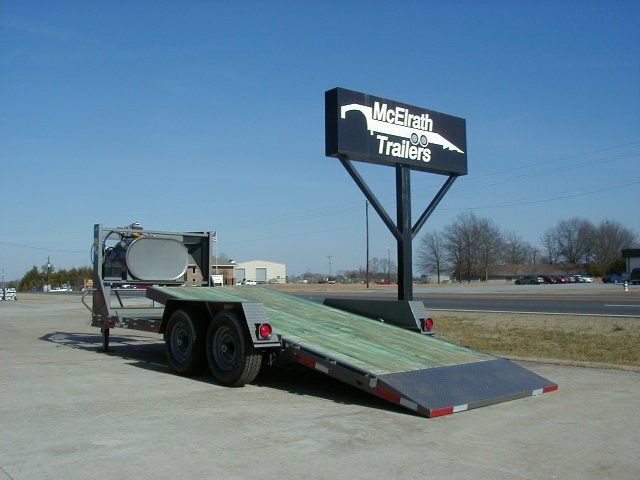 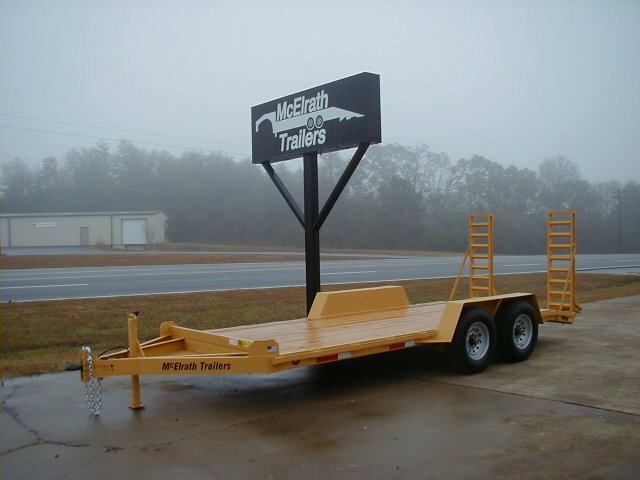 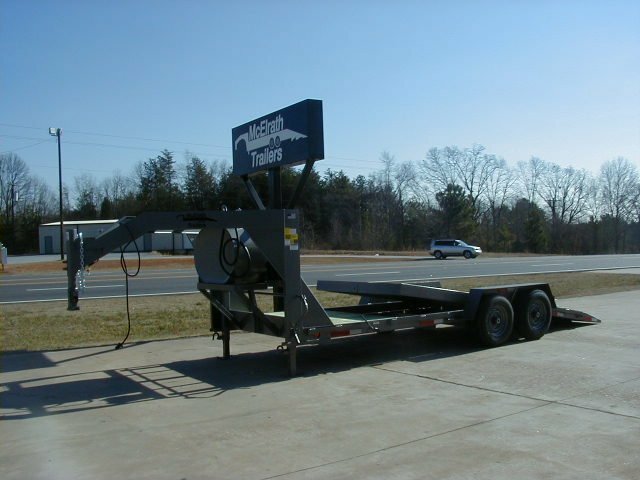 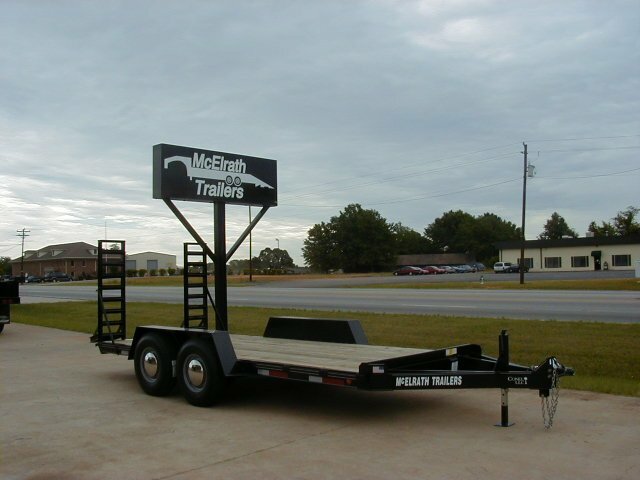 We offer this trailer as a tag-a-long or Gooseneck.